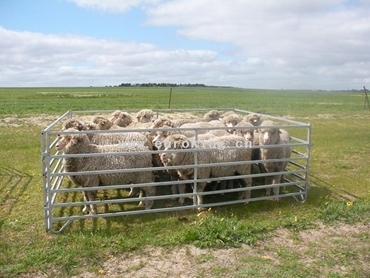 Euroking , a medium sized factory that has been in operation since 2008, offers easy to assemble sheep yards. These sheep yards are of a strong square construction and are manufactured through a hot galvanized process. Euroking specialises in steel fabrication. Specifically, the company specialises in farm implements and special order products. Their strong desire to create long term business relationships makes them accountable for all the products that they manufacture and sell. Their sheep yards are constructed with the same high quality manufacturing process that is employed with their whole range of agricultural and livestock management products.